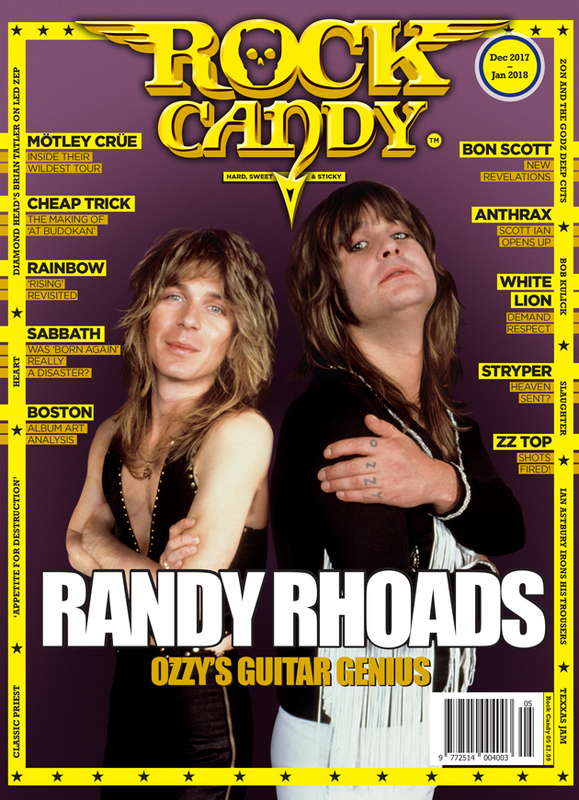 The latest issue of Rock Candy Magazine, featuring Ozzy Osbourne and Randy Rhoads on the cover, is available in shops around the world via distribution from industry giant Marketforce. Besides our massive Randy Rhoads feature, it also includes an exclusive behind-the-scenes feature on what really went on during the Crüe’s wild ‘Girls Girls Girls’ tour in 1987. Including new interviews with vocalist Vince Neil, manager McGhee and members of the tour team, together with exclusive photos by photographer Mark Weiss, the piece exposes the madness of life on the road with the house band of hair metal.